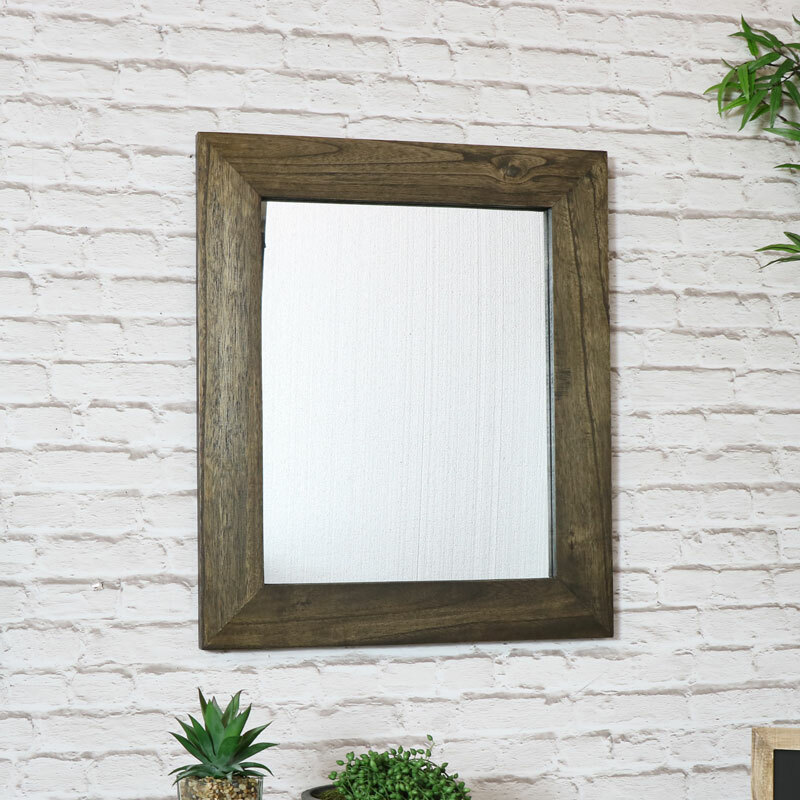 This is the perfect mirror for adding a rustic, retro look to your home decor. Its gorgeous rectangle shape mirror can be hung portrait or landscape to suit your interior. This would suit any living room or hallway. This mirror can even be used as a bathroom wall mirror. Simple but full of character. A great look for modern, contemporary or rustic country lodge styled interior. 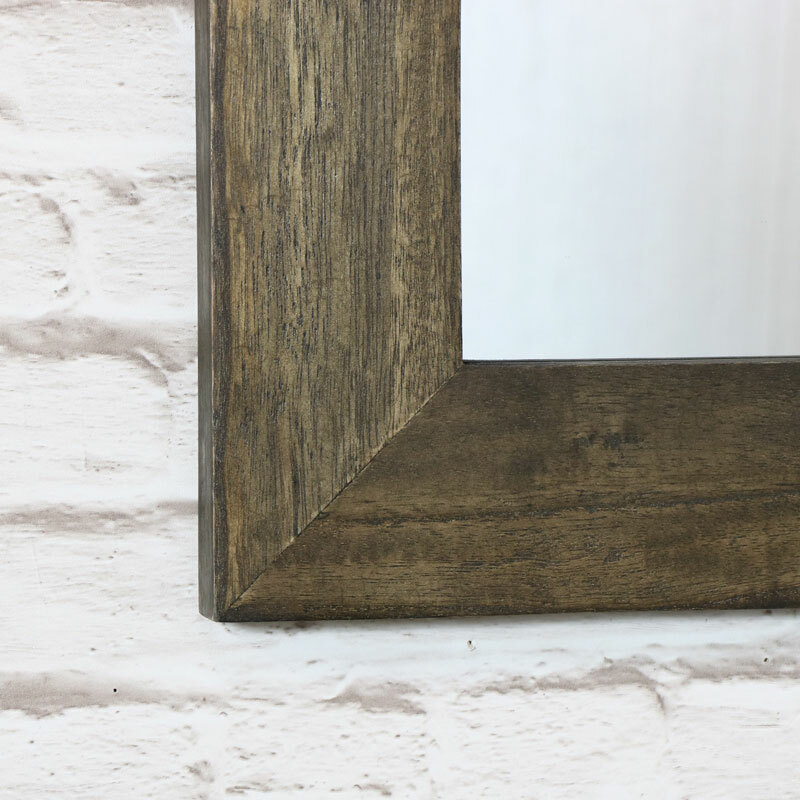 Wooden frame in a dark rustic brown finish. Easily wall mounted with hooks on the back for hanging in portrait or landscape orientation.